The gym isn’t always a safe place. I recognize this even though I want to be a personal trainer and work in a gym setting. My ultimate goal is to help people overcome the intimidation and make people feel comfortable to work out, but I can respect that gyms can be places where some people, and geeks in particular, might not feel respected. If that’s something you’ve felt, I’d like to introduce you to something I clicked upon while browsing the Internet for fun, geeky ways to exercise: Nerd Fitness. 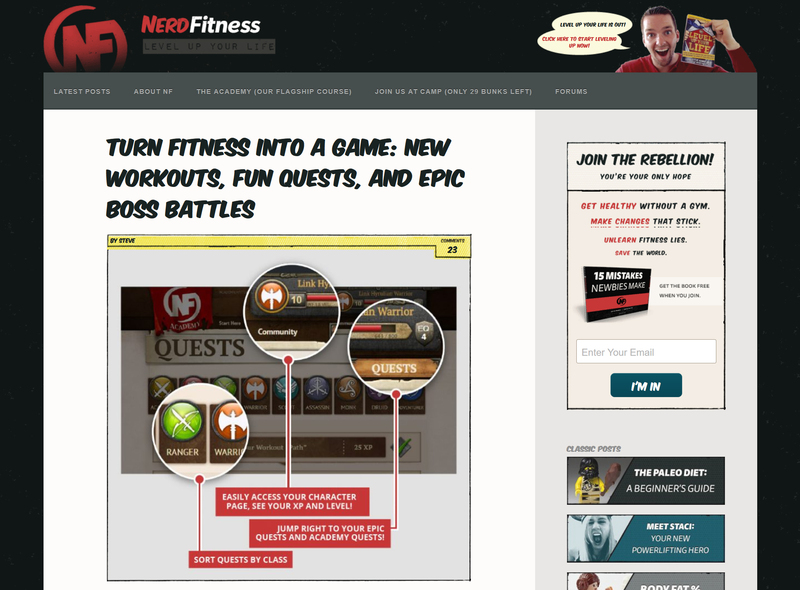 A look at the Nerd Fitness website. 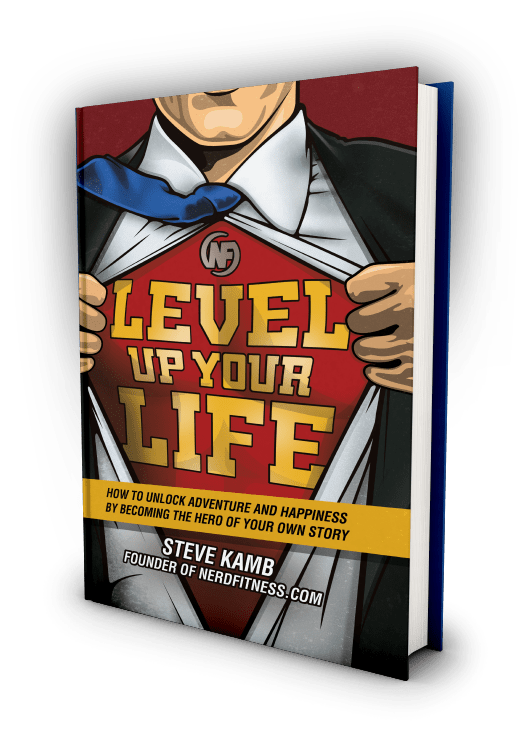 Nerd Fitness was created by Steve Kamb, a self-described nerd who loves exercise. His ultimate goal was to create a website where geeks and nerds everywhere could find articles and resources to live healthier. What I love about this site right off the bat is it emphasizes a healthy lifestyle—not just trying to look like Thor or Catwoman right out of a comic book. It’s all about living your life to the fullest and how living in a healthier way can achieve that goal. I hate when gyms emphasize the “summer body”; it’s demeaning and completely unnecessary, and Nerd Fitness doesn’t do that. I was surprised by how accurate the information is. It’s not that I was expecting this information to be complete bull, but some blogs publish information that’s inaccurate and harmful. I read Steve’s article on body-fat percentage, and the information lined up with what I’ve learned in my exercise science studies. I also love how he puts out a disclaimer for the ladies, noting that women shouldn’t drop below 15 percent body fat because of the chance that they might lose their period. This is a true fact, ladies—we need body fat to sustain our reproductive cycles. The information presented in this article is written intelligently, and it’s also easy to understand if you aren’t familiar with body-fat percentage. The best part about Nerd Fitness is the Nerd Fitness Academy, which is set up like a fitness role-playing game of sorts. 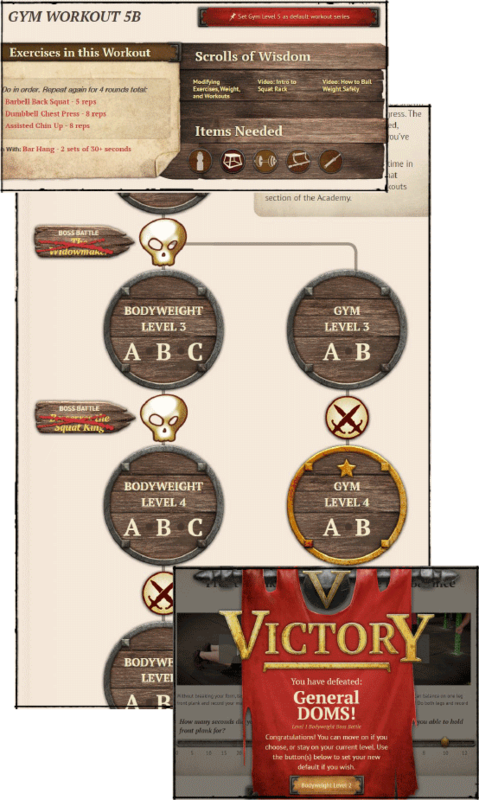 This online self-paced course shows your character page and your skills, and it highlights different workouts and meal recipes as “quests” you can complete. By completing a quest, you add XP to your character profile, which helps level up your “character”—yourself—as you develop healthier habits. For example, below is what a workout would look like. To the left it displays items required, showing all of the gym equipment you would need to complete the workout. It also shows the Scrolls of Wisdom, which are things like instructional videos to help you with your exercise. The way that this is set up will appeal to a lot of gamers, including myself. Nerd Fitness is a great resource for maintaining a healthy lifestyle. It provides positive feedback without the nastiness of body shaming that’s hidden (or not so hidden) in other health websites. For fellow geeks, this site is a safe space to try different exercises correctly and safely while playing an online RPG at the same time. Thanks Mariah for your review. Very helpful ?